There is never a wrong time to get all dressed up to treat yourself to a good concert coming to town. Going to a rock concert, hip hop extravaganza, or some other type of amazing night of music or Broadway stage play is a great way to spend the night. If this sounds like something you are into, then let our limo serve compliment your look and allow you to feel like a true celebrity. 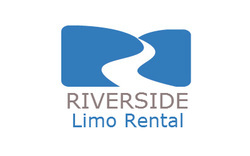 When you want to get that star treatment that the rock stars get, let Riverside Limo Rental show you how we roll. There are several concert venues within the greater Riverside area, and if you're looking for an outdoor arena then try one of our many convert venue destinations in the city where it is always the place to be. If you're looking to try some concerts with our famous neighbor of Los Angeles then give us a call so we can transport you and your guest there in style. Concerts are held at the Staples Center and the Nokia Theater, both located in Downtown Los Angeles at LA Live. If you know that you'll be hungry before the event or maybe after then this venue is the place for you. There are plenty of places to eat and drink within walking distance of both the Staples Center and Nokia Theater. We have venues far and wide and our transportation services can get you there on time, in style and safely. We know how to party and we bring that experience to you and your party, so this can be one of your better occasions of the year. So when you are ready to arrive at the concerts like you are part of the entertainment, give us a call so we can treat you like a superstar.